Larkfield Holiday Park is an exclusive Holiday Home Owners-only park, nestled in the Bride Valley. The park is just a 5 minute walk from the sought-after village of Burton Bradstock, as well as Burton Beach with miles of coastal walks and the award-winning Hive Beach Café. Part of the iconic Chesil Beach, the Jurassic Coast and located in an area of outstanding natural beauty, the beach with its golden cliffs is a special place in Dorset whether the sun is shining onto a calm sea or the wind is whipping up white-capped waves. The Caravan and Lodge Holiday Homes at Larkfield are all set in well-maintained grounds and it’s the peace and quiet that make Larkfield such a popular location for couples and families to own a relaxing countryside retreat near the coast. There is a bus stop right next to the park so you can hop aboard the “Jurassic Coaster” bus for great views on the Jurassic Coast Road from Bridport to Weymouth. There are new and pre-owned Caravan Holiday Homes for sale with a 9 month season and new Lodge Holiday Homes for sale with a 10.5 month season. Please call, email or drop in to talk to the team at Surf Bay Leisure to arrange a visit to the park or for further sales information. 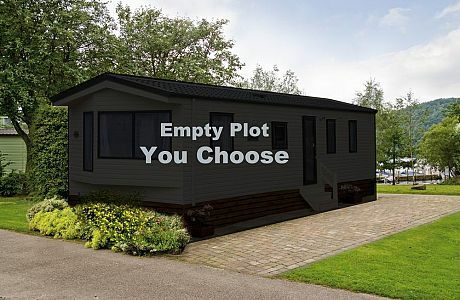 Four vacant plots available at Larkfield Caravan Park.